Obesity has become a major problem in our society. According to the CDC Division of Nutrition, Physical Activity, and Obesity, more than one-third of adults in the United States are considered obese (CDC, 2015). Obesity is known to complicate a number of health issues, including wound healing. How exactly does obesity impact wound healing? Let’s discuss. 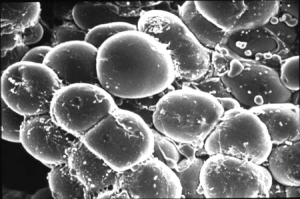 To understand the impact of obesity on wound healing, it’s important to understand a little about adipose tissue. Adipose tissue is a “distinct entity” (Pierpont et al, 2014) which is divided into lobules, each of which are made up of thousands of cells that are separated by fibrous septa that carry relatively large neurons and large vessels. Each lobule is supplied with blood through a vascular pedicle; each fat cell is surrounded by a fine-meshed capillary network. As adipose tissue grows, there is an increased demand on the circulatory system. As a result, the adipose tissue begins to develop its own vascular system; however, capillary density does not increase in proportion to the increase in adipose tissue, thus vascular insufficiencies can develop. In addition, an increase in adiposity leads to impaired angiogenesis and chronic low-grade inflammation. Poor vascularity results in poor oxygenation, which can lead to a delay in normal wound healing and even necrosis of the tissue. Increased intra-abdominal pressure causes increased reflux, vein diameter, venous pressure and, eventually, impaired venous function. Venous insufficiency results in the formation of a barrier surrounding capillaries, which then leads to decreased diffusion of oxygen and other nutrients from the capillaries to the surrounding tissues that need it. Intravascular fluid leaks into the interstitium around the capillaries due to orthostatic pressure, which causes an inflammatory response. Leukocytes become trapped in this fluid, causing tissue destruction due to the release of proinflammatory mediators and lysosomal enzymes. As you can see, obesity can have a direct impact on venous insufficiency, which in turn impacts oxygenation and the inflammatory response. Adiponectin is a cytokine derived from adipose that provides protection against inflammation and oxidative stress. In an odd twist of biology, concentrations of adiponectin actually decrease with increasing obesity, even though adiponectin is secreted by adipocytes. Adiponectin deficiency affects wound healing in two main ways: first, adiponectin stimulates angiogenesis, so a deficiency of adiponectin means that angiogenesis is impaired; secondly, adiponectin promotes proliferation and migration of keratinocytes, thus a deficiency of adiponectin results in impaired reepithelialisation. Earlier, we learned that adipose tissue that expands without an increase in blood flow (capillary density) leads to poor perfusion and oxygenation of the adipose tissue. Poor perfusion and oxygenation of subcutaneous adipose tissue can predispose obese individuals to infection. Why? In a setting wherein there is insufficient oxygen, leukocytes are able to ingest bacteria but are unable to kill them, leading to infection which significantly impacts wound healing. Another important point is that fibroblasts cannot synthesize collagen properly in an oxygen deficient environment. Collagen synthesis is a necessary part of wound healing and wound integrity. It is crucial to obtaining maximum tensile strength. In order for wound healing to proceed in its orderly fashion, there must be an adequate supply of protein, vitamins and minerals. It is easy to assume that obese patients are getting too many of these nutrients, but in all actuality, obese patients often suffer from malnutrition due to a high-calorie, high-fat and high- carbohydrate diet that is lacking in vitamins and minerals. As can be seen, obesity can impact wound healing in several important ways. Understanding how obesity impacts healing leads to an understanding of measures that can be taken to assist obese patients to heal, such as improving nutrition and ensuring adequate oxygenation through supplementary oxygen when necessary. Pierpont YN, Phoung Dinh T, Salas R, et al. (2014). Obesity and surgical wound healing: A current review. ISRN Obesity. 2014. doi:10.1155/2014/638936. Bryant R, Nix D. Acute & Chronic Wounds: Current Management Concepts. 4th edition. Elsevier Mosby. St. Louis, Missouri. pg. 390. Laurie Swezey RN, BSN, CWOCN, CWS, FACCWS is a Certified Wound Therapist and enterostomal therapist, founder and president of WoundEducators.com, and advocate of incorporating digital and computer technology into the field of wound care.